The 2019 Intruder gets a new bronze paint option. It gets slightly redesigned brake pedal and gear shifter. Mechanically, the bike remains the same as the previous model. Suzuki has launched the 2019 Intruder in India at Rs 1.08 lakh (ex-showroom Delhi), a premium of Rs 955 over the previous FI model. Suzuki hasn’t mentioned whether this price is for the FI variant or the carburetted variant. The 2019 version gets a new paint option called Metallic Matte Titanium Silver, a fancy name for what is in essence a shade of bronze. Also, the updated variant gets slightly redesigned brake pedal and gear shifter, and it also misses out on the belly pan. As seen on the SP model, the 2019 variant gets pillion backrest. Other than this, there are no changes whatsoever. Powering the baby Intruder is a 155cc, air-cooled, fuel-injected, single-cylinder engine, which puts out 14.8PS of power at 8,000rpm and 14Nm of torque at 6000rpm. There’s also a carbureted version available, which makes the same power as the FI variant. Transmission duties are handled by a 5-speed transmission. The motorcycle features telescopic suspensions up front and a monoshock at the rear. Braking is via disc brakes at both ends with single-channel ABS as standard fitment. In other news, it’s been a cracking year for the Japanese bikemaker. It sold more than 7.47 lakh units in the fiscal year 2018-19, witnessing a growth of 30 per cent over the previous year. The company is aiming to achieve sales of 10 lakh units in the next fiscal year. Here’s a detailed report on how Suzuki fared in the fiscal year 2018-19. 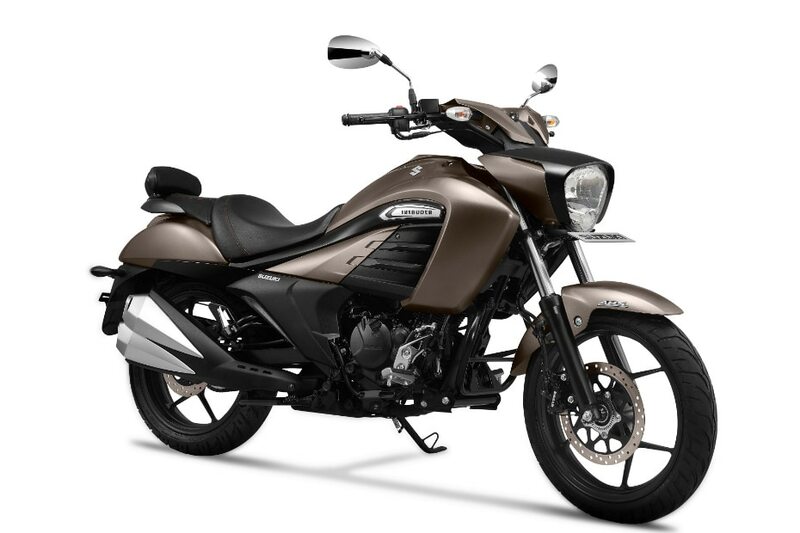 New Delhi, April 05, 2019: Suzuki Motorcycle India Private Limited (SMIPL), a subsidiary of one of the world's leading two-wheeler manufacturers - Suzuki Motor Corporation, Japan (SMC) today introduced 2019 edition of INTRUDER. The new INTRUDER comes in an exciting new color scheme - Metallic Matte Titanium Silver along with new design features to enhance the sportiness and comfort factor of motorcycle. Suzuki INTRUDER is true to its contemporary badge along with futuristic features like 155cc SEP engine with superior riding performance, standard ABS and fully-digital instrumentation. Carrying forward the lineage of the legendary INTRUDER with its flowing character lines, big-bike like shrouds, and a sharp twin exhaust that makes turns head of every bike enthusiast. It's low and long styling, with a long wheelbase, and a low seat makes it a go-to motorcycle for any kind of commute.